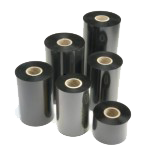 Waxes and resins are mixed together to produce ribbons that show improved scratch and smear resistance, as well as improved solvent and heat resistance over wax ribbons. 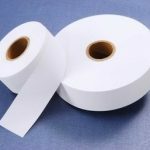 Wax/resin ribbons can be printed on a wide range of label stocks, but are particularly good matches for coated papers and coated synthetics such as Kimdura®. 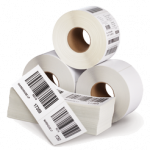 Typical applications include bin location labels, and labeling for horticultural and health care applications. 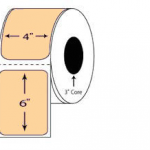 Be the first to review “Tec B-472 Thermal Transfer Ribbon (4.17″ x 1968′, CSO, Near-Edge Wax/Resin, 32 Rolls/Available)” Click here to cancel reply. Avery Dennison 4800TWT Polyester Thermal Transfer Printable 3" X 334 yds.